The largest carnival online store in Europe. 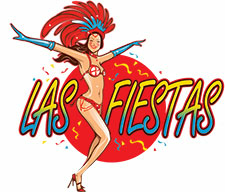 Party shop and carnival shop Las Fiestas bvba specializes in the sale of carnival, party favors and carnival costumes. We sell through our online shop and physical shop at Gentsesteenweg 255, 9300 Aalst, Bergense Steenweg 61,1500 Halle and Dok Noord 7 bus 007, 9000 Gent.(Belgium). Each year we try to innovate, improve and expand our party collection to meet the needs of our customers in Belgium, Netherlands, Germany, France and other European countries. Las Fiestas uses a policy of fair pricing. We always try to provide the best possible prices. We also try to ship at the lowest rates. If you find the article at a lower price somewhere else, please let us know so we can check and if possible lower our price. Keep in mind that some carnival articles appear to be the same but the quality is not! We want to thank you for visiting our site and hopefully we can welcome you as a new customer.